It’s not just the future of work that gives us the freedom to take control of our work lives, it’s everything the has led up to this moment. It’s the technology that we depend on and it’s the technology that is coming down the pipeline. It’s also the technology that our children will invent and the ground breaking, mind-blowing advances that will be made by those who have not even been born yet. If we keep gigging, then the next group of Giggers will benefit from what we experience and discover. But, it’s right now that I want to grow my career and it’s where we currently are, right at the beginning of the gig economy that will determine where it all goes from here. I read a book that helped explain The Gig Economy in a way that makes sense. It was how she explained the effect Uber had on the entire gig economy and how all the gigs that followed learned from the Uber model and all of the individual people that took advantage of the opportunity to take control of their own work life. A small startup themselves, they led the way to allow countless people to become their own small startups. Whether they were looking to replace an entire salary or for a side hustle that gave them the extra money they need to make ends meet, Uber drivers were given the tools and technology to provide a service that filled a gap in many communities that people didn’t even know needed filling. 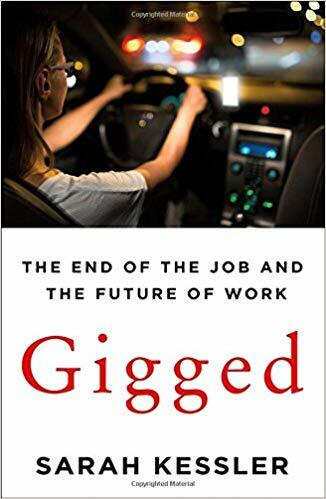 The way Sarah Kessler explains the way so many others followed the Uber formula and how it has formed what we now know as The Gig Economy. If you want to get a better handle on what it all means as well as how we got here, let Sarah Kessler explain it for you in Gigged. There have always been Freelancers. I have been working as a Freelancer since the day I graduated college. I’ve grown and changed with the technology in my field as it was created and it has been nothing short of fascinating. 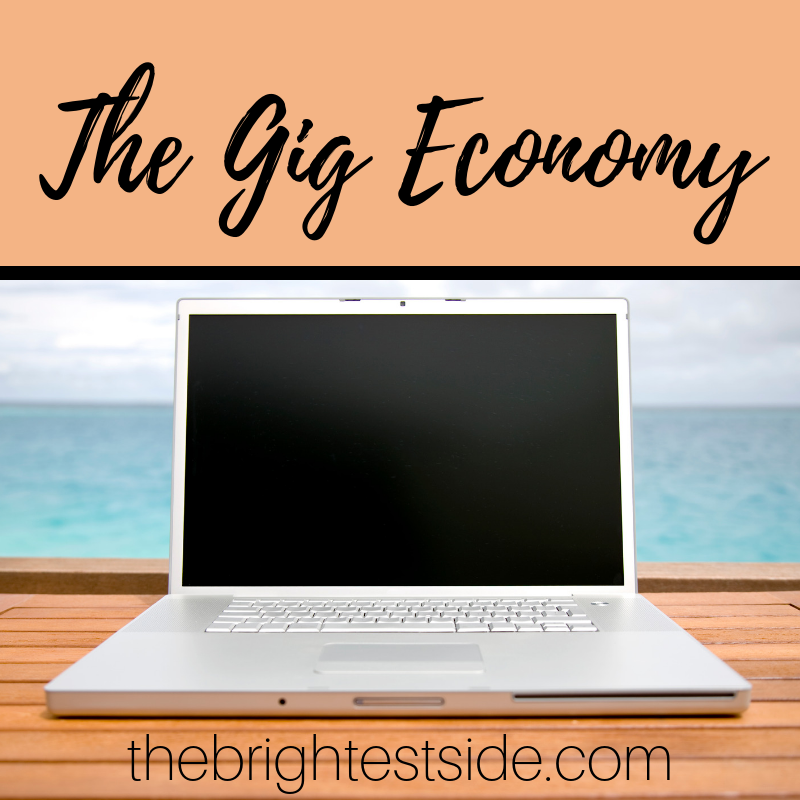 Those of us who take on this new idea of giving up the idea of traditional work and take the leap into freelance will help define what the future of The Gig Economy will look like. I hit a wall. I hit a wall in my career after working for 22 years in the same job and there was no going back. I didn’t let that wall slow me down, but I did let it change my direction. It was a wall, after all. I knew I needed to keep working and I knew I had only done one type of work for my entire career. It was scary. But, it was also exciting! I tried a few things and with each try I learned something new. Isn’t that how it all works? Go and try stuff, you’ll see. The most relevant thing I learned was that if I couldn’t make enough money doing one thing, I had to try doing a few different things and pooling it all together. 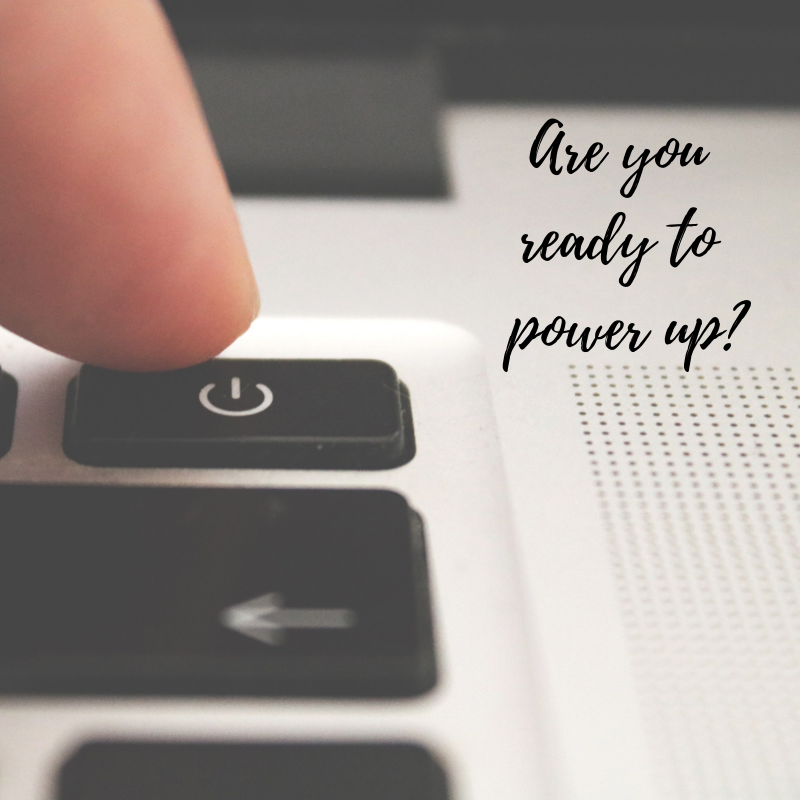 With that thought, I started researching and found that exact mindset was actually quite a popular way to sustain earning power in today’s ever changing world of earning a living online. I was on the right track! I realized that the key to building a solid income from home was doing a few different things and having multiple streams of income. When I started this work I did not have advanced computer skills, I was not an excel spreadsheet wiz, and I am still trying to figure out the world of SEO. But, I’m a dedicated, responsible women who has been a working professional for well over 20 years and I knew I had a lot to offer. The most important thing you need to get started with a successful career online is the belief that you can do it. The second most important thing you need is the motivation. If you have a positive mindset and put in the time and effort, you can make this work for you. And, it doesn’t take much time to get started. 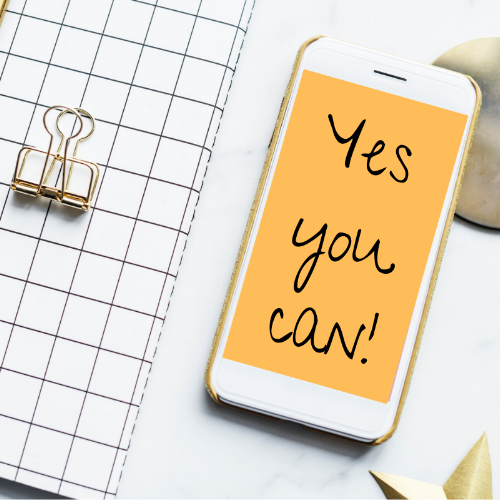 If you already have a side hustle and you want to take it up a notch, check out my blog post about Turning Your Side Hustle into a Business. If you feel like you need to get organized first, check out my post about Organizing Your Home Office. 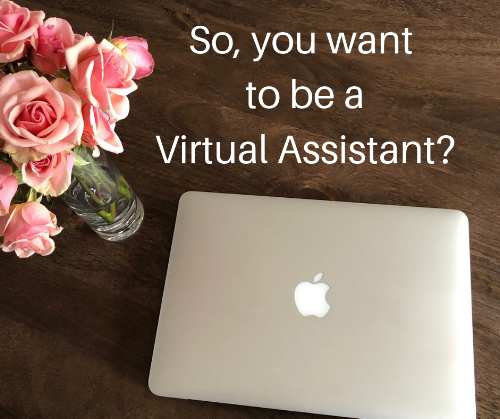 And, if you feel like you need a plan in order to get started, check out my post about Becoming A Virtual Assistant. No more excuses! It’s time to use those skills and earn the money that will change your life for the better! If I can do it, so can you! Open that laptop and let’s get started! So many of us have found a way to make extra money from home. If you don’t have a side hustle yet, it’s not too late to turn a passion or hobby into a money making venture. 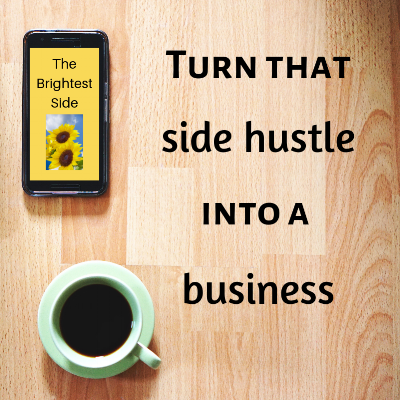 Whether you are a Drop Shipper, an MLM Representative, a Virtual Assistant, a VIPKID teacher, mystery shopper or any other kind of Digital Nomad, with a few simple changes you can turn that extra money making side hustle into a more professional business. The success of your business is really up to you. Here are 5 simple ways to take your business to the next level and attract more clients. This post includes affiliate links for which I may earn a commission. I only suggest products that I believe in and that I know will enhance your business experience. Create a logo for your business. Streamline your website and social media graphics and profile photos to up your game and make your efforts look more professional. There are plenty of ways to make your own logo online, but if making graphics is not one of the skills you already have, try having one created for you. When I started my business, I chose a name that reflected my business personality. I wanted to show my positive personality and help people easily remember me. So, The Brightest Side was a reflection of how I see the world. I am a glass more than half full kind of person, I like to see the best. For my logo, I chose to use a sunflower because they are the most positive flower I know. They always look to the sun and to me that is a perfect inspiration as I grow my business. Put your logo or business name on a t-shirt, a pen, or send a holiday card to all of your clients or potential clients. Networking and marketing with a more professional and streamlined plan will change your client’s perception of how you are conducting business. Get yourself organized and you will feel more professional. If you have a video call or a visitor, you will appear more professional and clients will notice when you have an organized work space. Try using a wall mount organizer at eye level to make your office supplies easily accessible. Spending a little time each day to tidy up and organize your supplies will let you start the next day with less stress and clutter. With the right organization tools, that will be easy. Try a device charging station so you will always be ready with a full battery for a business call with a client or to run out to a spontaneous business meeting. Tame those cords and make your office a more functional space. Also, make sure your printer is operational and always filled with ink and paper. It’s good to keep an extra ream of paper and a couple extra cartridges of ink on hand just in case! 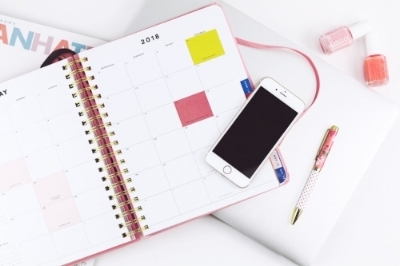 Whether you like a more structured planner or you are a free form type of professional, a calendar and appointment system that works for you could be the most important thing you buy for your business. 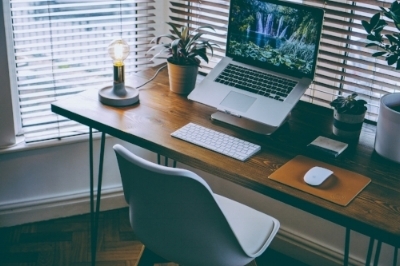 The first step to working from home is creating a home office where you can be productive. It’s amazing how much more I can get done when my office is organized and inviting as opposed to messy and stress inducing. Your space does not need to be fancy or even very big, it just needs to be a place where you can be creative and get things done. Let’s focus on creating a dedicated office space that fits your unique needs and work personality. 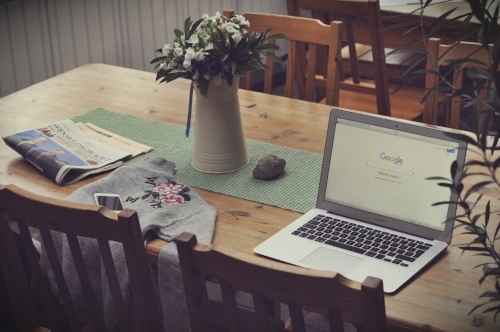 Here are 5 things to consider when you set up your home office and 5 more important things to remember when you work from home. ~ Do you have the privacy you need? If others will be home while you work, you may need to ensure a private space. If that is not an issue, then you have more options for the location of your work space. Just be sure you consider an appropriate background if you have video calls, and be sure to minimize sounds like barking dogs and doorbells if you need to be on the phone. ~ Do you have any distractions in your home office? Does you space inspire you to be productive? Make sure you don’t have anything around that will draw your attention away from the task at hand such as a television. But, it’s nice to have a few inspirational objects that make you feel calm or spark creativity. 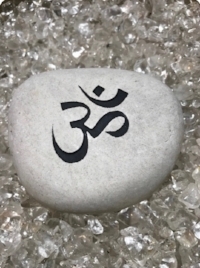 I like to include a few spiritual objects in my office space because that is something that inspires me! Check out www.yoursoulshines.com for inspirational items that I include in my own home office and beyond. ~ Consider what organizational tools you will need to stay on top of things. Are you surrounded by clutter? Consider what items are in need of organizing and go from there. Do you need a more functional filing system? 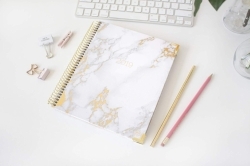 Do you need a way to keep your office supplies in check? Be specific about your pain points of staying organized and look for real solutions. Make time to keep your systems in place ongoing, but be realistic with yourself when considering your work personality. ~ Do you have the right equipment? 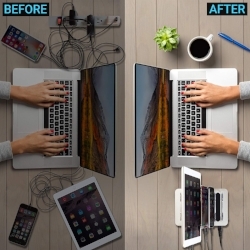 Is your computer up to the task of handling your business needs? Is your printer trustworthy? Do you have an ergonomically functional chair so you can sustain long hours at your desk? ~ Is your calendar and appointment booking system working for you? Do you have a way to keep track of what needs to get done as well as when it requires your attention. Some prefer a digital calendar and some prefer the old fashioned written planner. Whatever works for you is the right choice. Now that we’ve considered your physical space, let’s talk about some other important things to consider…. ~Be sure to set times for breaks! It’s easy to get on a role and keep going, but everyone benefits from taking a brain break. Schedule them if you need to! If you seem to be working long stretches without a break, try setting a timer. ~Keep a regular eating schedule. When I work from home it’s tempting to snack all day and never stop for a meal, or forget to leave time to eat! Meal plan as you would for a regular job that takes you out of the house. Or, take your work to a place where you can get a bite to eat…. and some coffee, I always need coffee. ~Move your body. I’ve been known to walk in circles around my house when the weather is bad. I have to move my body everyday or I get stiff and sore and it’s harder to sit in one place for long period of time to get work done. Make sure you are leaving time to workout, go for a walk, or just get out of your chair and stretch. ~Drink water! Don’t forget to stay hydrated! I find that using a large water bottle with a straw leads to drinking more water. What are your strategies for staying hydrated and how can you incorporate them into your home office? ~Know when to call it a day. Because I work from home, it is often tempting to work throughout the day and night, even when it gets in the way of family time. It’s important to close the computer, be present for my family and resist the urge to keep going on projects that I’m excited about. There will always be tomorrow to get more work done. 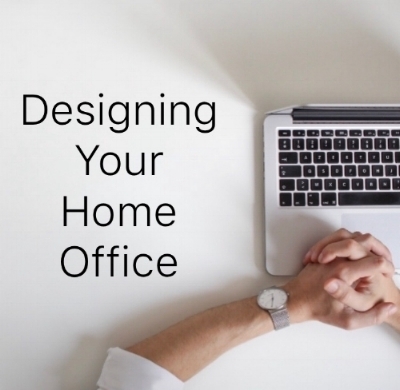 Every home office looks different, focus on what works for you! Great! I can help with that. 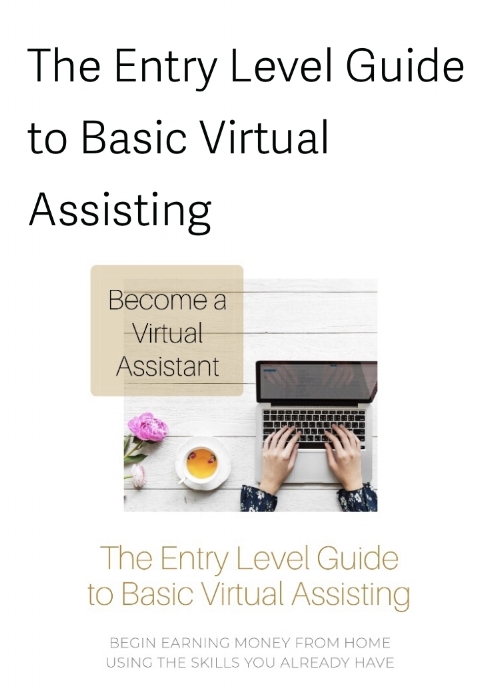 I have created The Entry Level Guide to Basic Virtual Assisting so anyone can begin earning money online with even the most basic computer skills. I am putting it on DEEP discount ($9) for the holiday season to celebrate and encourage this time of year that I hope will be filled with giving and kindness. So, pick a comfy spot, grab your laptop and a cup of coffee and let’s get you started! Get in touch with any questions you have, I’m always happy to chat about why I love this work so much and how you can make it work for you. It’s November, and that means the holidays are coming soon. 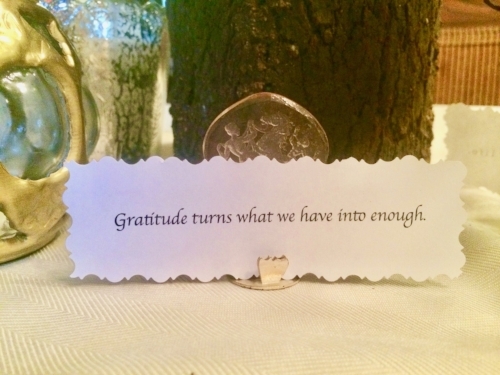 Thanksgiving is my favorite holiday of the year mostly because I get to surround myself with family and good food, but also because it’s a holiday when we give thanks instead of gifts. I prefer it that way. When I host Thanksgiving at my house, I like to find subtle, and not so subtle, ways to remind everyone what this holiday represents. I try to avoid thinking about the actual historical roots of the day and focus on making it a positive reminder that we are lucky to live this life and we have so much to be thankful for. Don’t get me wrong, I honor the history of it all, I just chose to put my energy into making it about love, togetherness and kindness because it’s a great opportunity to do it. We can have a political discussion anytime, but Thanksgiving is the time to celebrate each other. I’m thankful for the internet. I’m thankful for the opportunity to build my career online and be at home for my family when they need me. I’m grateful that I can be home when my kids get on and off the bus and that I can take them to after school activities and never miss a moment of work. I’m glad I can design my own schedule and decide what time I want to devote to my work while still taking into consideration the needs of my family. I appreciate being able to take a day off when my kids are sick or they want me to chaperone a field trip or volunteer at school. I am lucky that I live in a time when the internet provides so many ways to be creative and earn a living which makes all of that possible. Thank you internet and technology, for being there when and how I need you and for allowing me a life that I can enjoy. Thank you for providing me the opportunity to live my life and to take care of my family this way. I appreciate you and look forward to many years to come. I hope I can contribute to the online work revolution and add value to this incredible field. I promise to always be mindful that my life is full of blessings and never take any of it for granted. I pledge to always see the positive in what technology has provided us, but also show my children how to balance it’s power with the beauty and necessity of being in nature. I will show my kids how to live a life that is very much plugged in to the world, but at the same time enjoy time spent unplugged and with the ones we love. I encourage everyone to write a thank you letter to the things or places that make your life better, not just the people, but those letters are nice too. A question I often hear… Can I still make money online as a Virtual Assistant if I only have basic computer skills? 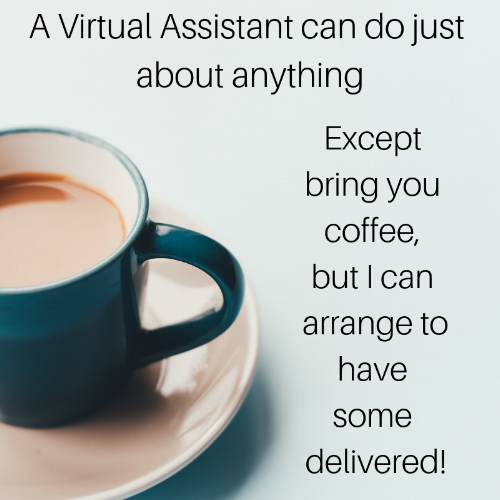 A common statement often said to me… I think I would be a good Virtual Assistant, but I’m not very tech savvy. 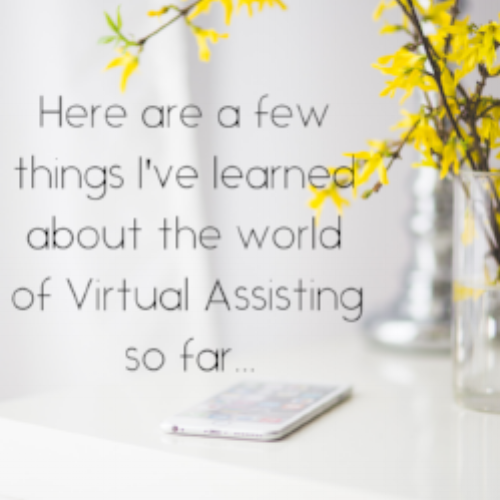 So, can you still be a Virtual Assistant with basic computer skills? So, EXACTLY what basic tasks are Virtual Assistants doing for business owners? The answer to that question varies, but I can give some great examples from my own experience. 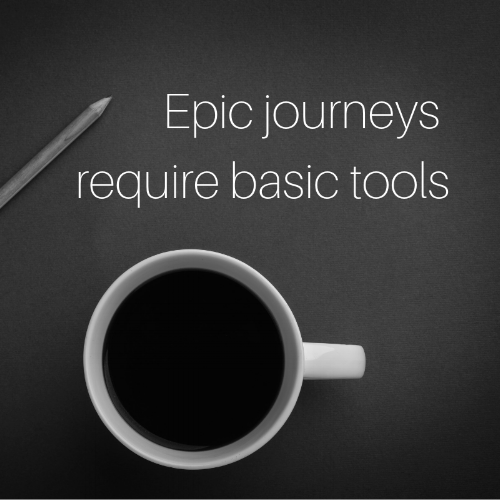 I consider myself a Basic VA. That means that I’m not an expert at Click Funnels, SEO, Chimp Monkey, Tailwind or some of the other platforms and services that are trending and in demand right now. If you are good at that stuff, lucky you, you can find even more clients. But, all businesses have basic tasks and need help tackling their to do lists in order to free up time to focus on other parts of their work. The key to being a successful working VA is more about character, work ethic and ambition than skills for sure. So, what are these basic tasks exactly? 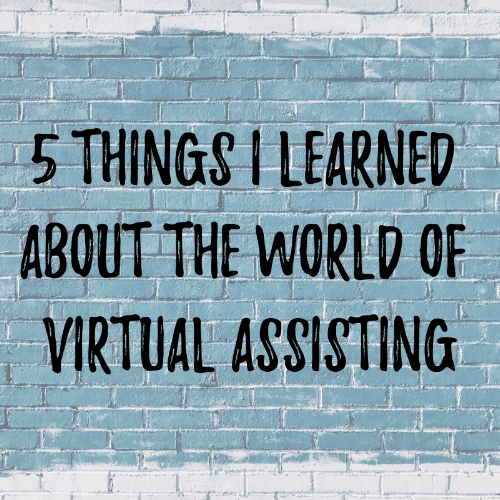 Here are 3 real life examples from my own work as a Virtual Assistant that only needed basic computer skills, solid organization capabilities, and the ambition to get the job done. I had a client who was moving in with his fiancée and they were both very busy Executives. Each had a one bedroom apartment and were moving into a 2 bedroom apartment in New York City. So, they hired me to compile a list of their belongings, the dates that they wanted to move, logistics of their current buildings as well as the one they were moving into (elevators, stairs, etc) and a few other details that needed be communicated to everyone involved. The next step was to contact a few moving companies for quotes and availability. I let them know their choices and they directed me which one to use. Together we finalized details, but I was the one doing all of the calling, organizing and follow up. Then, from 1,000 miles away and all over the phone and internet, I organized it all and made sure the move played out the way the clients envisioned. They paid me per hour and it all worked out really well. I have made several cross country and local moves personally over the last few years, so just my life experience and ability to stay organized and be one step ahead was enough to help them complete their move seamlessly. This busy couple was able to focus on work and not on the details of their move which had been a source of stress for them before they hired me. This experience led me to create my Featured Service - Moving Coordinator which I now offer to clients on a regular basis. I’m a writer and I kept a blog about my experience being a new mom for five years before becoming a Virtual Assistant. Using that knowledge, I can now offer myself as a Blog Assistant. For me, proofreading and blog management is a way that I can help clients who are managing their own blogs. Right now I have a client who sends me her content and I spend time proofreading it so she can post a more polished version. You can proofread content even if you know nothing about blogging, the important skill here is the proofreading. You can turn proofreading into a very marketable skill. It’s also helpful for so many other types of clients. There are many professionals who like to have a second set of eyes on their work before they make it public. (This can be anything from an email to a newsletter to a yearly report) So, if you have a good command of the English Language, basic typing and editing skills, and you can build trust with a client, you can turn proofreading into a service that you offer on a constant basis for several clients. People that own and run small business wear so many hats and it always seems that there is never enough time to get it all done. It is common to need an extra set of hands to tackle the more menial work so they can focus on other tasks. Recently, I had a client send me a box that contained over 200 business cards and asked me to create a spreadsheet of all the information on the cards. With all of that information entered into a spreadsheet, the business owner now has a new list of potential clients to help grow his business instead of a growing pile of cards just sitting on his desk reminding him of missed opportunities to connect with people and causing him stress. What may seem like a tedious and boring task allowed a business owner the opportunity to reach out more easily to 200 hot leads that needed follow up. 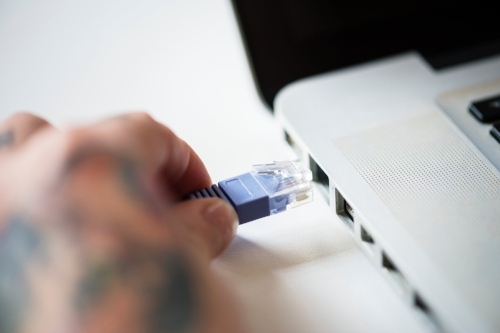 Another client wanted to switch online platforms and was finding that the 800 emails she had saved on one of them were not going to be easily migrated to the other. She needed someone to manually retype all of these emails to make her business continue to run smoothly. But, she also has a business to run and had no time to do tasks like that without having to take time away from the actual client work that she depended on to earn her living. So, she hired me to copy and paste each email from one platform to the other. It took me about 8 hours in total, but she was happy to pay someone to do it because it meant that 800 client emails were now accessible on her new platform which meant more possibility for her growing business. The investment in hiring a VA to complete tasks like this can mean huge payoffs for business owners. What seems like unimportant or boring tasks to others can make a major difference to a small business owner who is running their own show. Every business has to deal with the small things, and often business owners outsource the basic tasks to get more done in day without hiring more staff. Hiring a VA to tackle these tasks means paying only for productivity and not for health insurance, FICA, office supplies, computers, supplies, etc, so it ends up being more financially reasonable. In the end, it leads to growing the business. I didn’t need to be too tach savvy for any of these tasks, and these are just a few examples of how I support business owners and working professionals right from my computer everyday. You wake up on a rainy morning and rush to get ready for work. You are startled awake by an alarm clock, jump out of bed, get dressed, have some coffee… all the things. You throw on a coat, try and find your umbrella, and race out the front door to hurry up and sit in traffic before you finally arrive at work for a full day of stress under bright office lights, surrounded by people with whom you are forced to play nice. Then, just as you sit down at your desk, you realize you forgot your delicious lunch on the counter at home. Ugh. You wake up, brush your teeth, make a hot cup of coffee and sit down at your desk wearing your pajamas and slippers. You open your computer and get to work. You can shower and get dressed when you please, make a fresh, hot lunch when you’re hungry, and enjoy the peace and quiet of your own home all day long. The pajamas and slippers may be a bit of a cliche and not really reflect every single day as a remote professional, if we’re being honest. Some days, I go for a long morning walk, take a nice hot shower, get dressed, and head to my favorite coffee shop with my computer and a to do list. Other days, I am in another city trying out a new coffee shop, or shared work space, and meeting new people. It’s nice. I am in control. I make the decisions. Working remotely is nothing new. More and more full time jobs offer an option to put in hours off site, but what IS relatively new is the option of working through online marketplaces such as upwork.com completely freelance and independent of a traditional job. Upwork.com is a global freelancing platform where businesses and independent professionals connect and collaborate remotely. This allows someone who wants to work for themselves to take a talent or specialization for spreadsheets, accounting, editing, writing, or virtually anything, and work directly for a business owner without being an employee and without the often difficult hurdle of trying to find clients on their own. Freelancers on these marketplace websites serve a very specific purpose and work on a contract basis and owners pay only for their productivity, not all of the expenses traditionally connected to having an employee. Many of these freelancers have incorporated their own businesses and earn a full time salary, but there is a wide spectrum on there and some people, such as moms, have the freedom to work the hours that fit into their life to earn extra income. There are no minimum of hours required to be worked and no restrictions on how much work you can accept. They do keep a rating system, so it’s the responsibility of each party on there to maintain integrity which is reflected in their score. 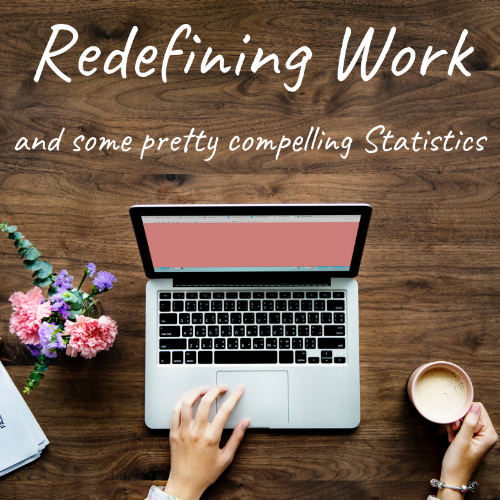 With the introduction of Upwork as a publicly traded company last month, we are provided solid proof of concept that working virtually is taking hold and taking off. 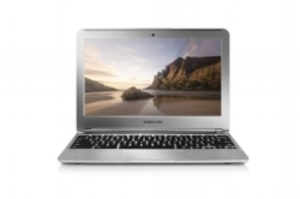 It presents a whole new way to work from home without being tied to a full time position working for someone else. Google reports that $1.56 billion in revenue was purchased (changed hands) on the Upwork platform over the last 15 months and $228 million in revenue was made. Those numbers combined with the experience of being able to earn a living while staying at home is what made me immediately buy stock in the company. I’m a believer and I’m in this for the long haul. And, Upwork is not alone. You could argue that they are first to market, but there are other sites that offer a similar service such as peopleperhour.com fivrr.com, fancyhands.com, and so many more making it possible to create a full time salary through a matchmaking platform and working online. No one I’ve worked through yet has had an exclusivity clause, so it’s possible to hunt and gather from any and all of these sites at the same time. The possibilities are truly incredible if you have the ambition. More and more people are quitting jobs that lack flexible work options. Virtual Assistant Agency and website virtalent.com estimated that by the end of 2018, the VA industry will be valued at $5 billion. That’s an industry changing number right there. 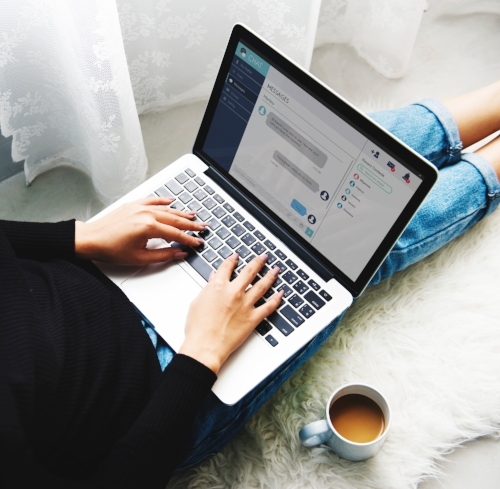 Another marketplace for connecting business owners with freelancers flexjobs.com conducts annual surveys of professionals and their attitudes towards flexible work. In their recent survey of 5,000 professionals, the number of people who say they’ve quit a job due to lack of flexibility has nearly doubled from 17% in 2014 to 32% in 2017. They have also found that remote work has grown faster than any other commute mode in more than half of the top U.S. metro areas over the last 10 years (beating out cars, buses and the subway). Flexjobs.com also made a staggering long term prediction about the future of remote work and the “gig economy” (task based work). 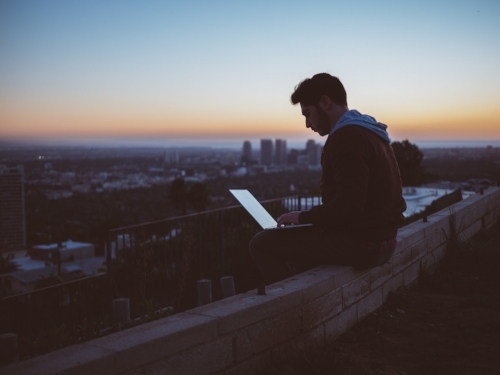 They predict that 58% of the U.S. workforce will be freelancing by 2027. That’s a full blown culture shift that will have a ripple effect on several other business that support people in their working role. Because the internet has given me such a grand opportunity to be free of a “normal” job, I can redefine what work means to me. I don’t have to keep a strict schedule designed by someone else. I can work around my family’s schedule. My schedule is completely under my control. I design my days and my business hours. I hand pick my clients, and I choose what tasks I commit to handling. The opportunity to work online can be a game changer for an inconceivable amount of people and have far reaching impact on how we conduct business. 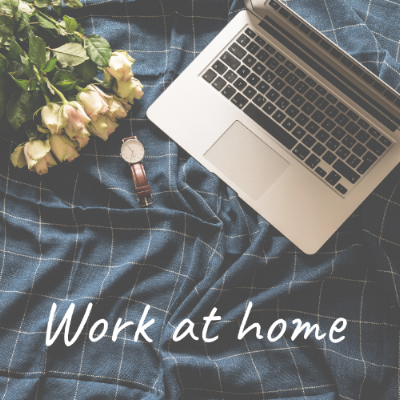 So, how could working from home change YOUR life?